We are still four months away from the North American & European release of Kingdom Hearts -HD 2.5 ReMIX- and all of these brand new trailers & screenshots are not making the wait any easier. To make the wait a bit more bearable, we have decided to give away another pre-order of Kingdom Hearts -HD 2.5 ReMIX- Limited Edition to one lucky winner! Like & share this post. Shares must be public in order for the entry to count! 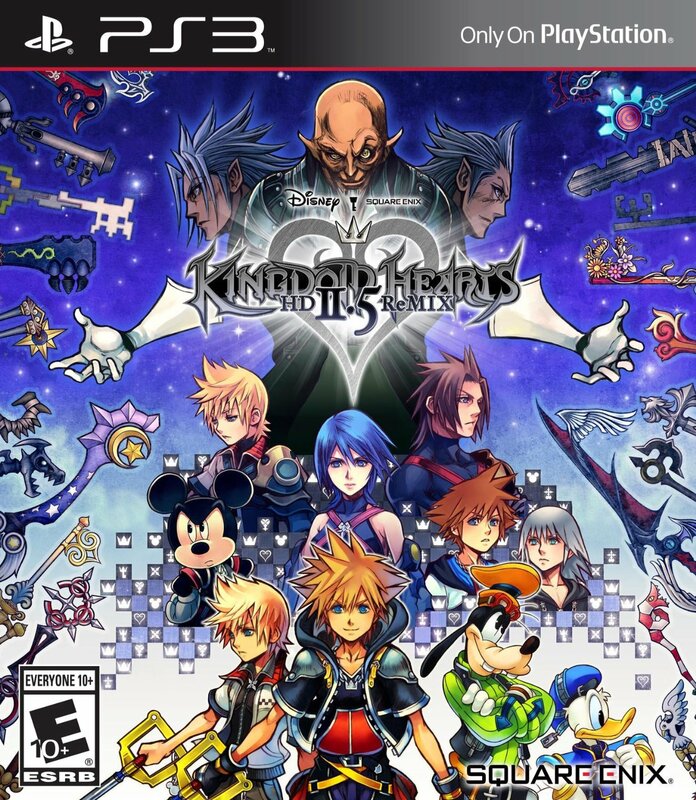 Leave a comment stating what game you plan to play in Kingdom Hearts -HD 2.5 ReMIX- first. You do not need to explain why, though we would be happy if you did! A winner for the pre-order will be chosen at random after 5pm Pacific Time on Sunday, August 31st. All entrants must be able to receive packages from Amazon.com and the winner, once announced, must send us a Facebook message containing their name and address. This is US only right? Even if we pay for the shipping? If the game ships to your country via Amazon.com, then it is for you. But it will be the North American version of the game. Oh, that's great! I'll enter it then. I don't have Facebook so I can't enter, but I might as well post what I'll play first. I will go in the order of KH2, then KH BBS, and finally I'll watch Re:coded. I just don't want to go from KHBBS to KH2 because it will be harder to get used to the command menu than the command deck. Good luck everyone on the give-away! Did it! I'm prob going to watch the movie first, though, before playing KH2. They had that whole watching the movie before playing CoM to get some cards in KH 1.5, they prob could do something similar. I'll be playing KH2FM first then I'll juggle between playing BBSFM and watching Recoded. Its cool that you guys are doing another giveaway, and I really hope their will be another one when KH3 comes around! Thanks to everyone involved to make these fun events possible! I'm gonna win this time... I can feel it. I'd being playing Kingdom Hearts II mainly because it has my favorite characters and boss battles from the whole series. Roxas would be the best for both as a character you can play as and a boss you can fight! What if the winner is outside US? Are you going to pay for the shipping or the winner will pay? It would be paid by us as long as Amazon can ship the game to your country. I cannot wait to play KH2FM. Been waiting for so long and finally the time is almost here. Woah! Nobody storm coming in! Get the keyblades!